castle ruins . . . Published in Hedgerow: A Journal of Small Poems, issue 120, 9/22/17. For haiku poets, February has come to mean National Haiku Writing Month. This year, NaHaiWriMo founder Michael Dylan Welch surprised us poets by compiling many of the month’s poems, written to daily prompts, into an anthology called Jumble Box, with haiga by Ron C. Moss. I chose this book’s 324 poems, by exactly 100 poets, for their individual resonance and poetic quality, and for their creative ways in responding to the prompts [—] some of the best from many thousands written for NaHaiWriMo in 2017.
and coffee brewing . . . Published in Jumble Box, the 2017 NaHaiWriMo anthology, 9/1/17. 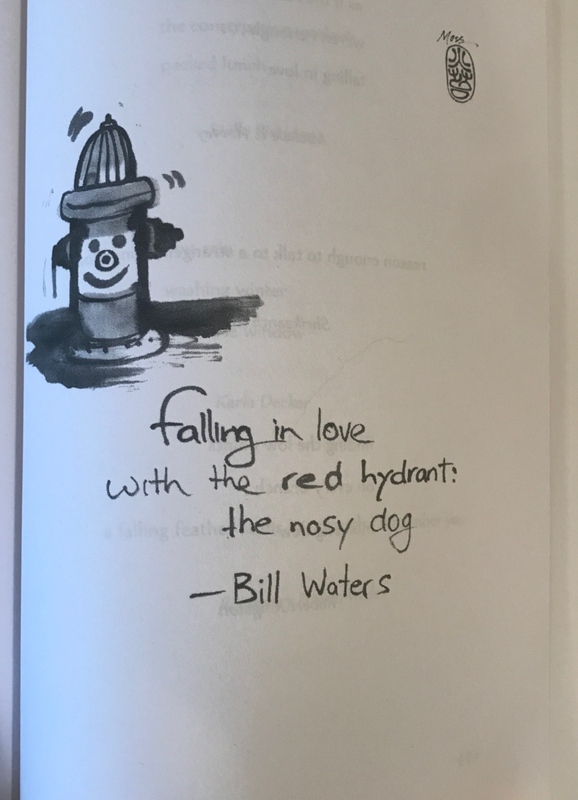 Published in Brass Bell: A Haiku Journal (http://brassbellhaiku.blogspot.com/2017/09/water-haiku.html), 9/1/17.